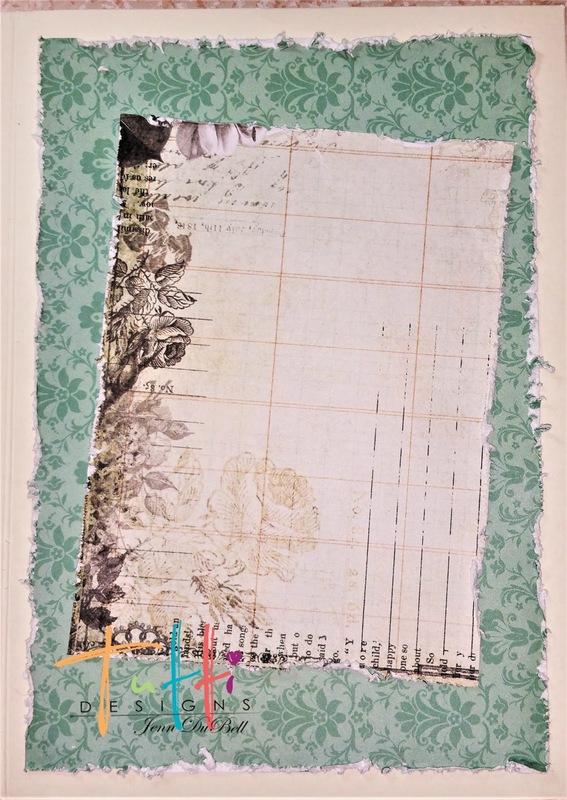 My name is Jenn and today is my first post as a member of the Amazing Tutti Designs team! 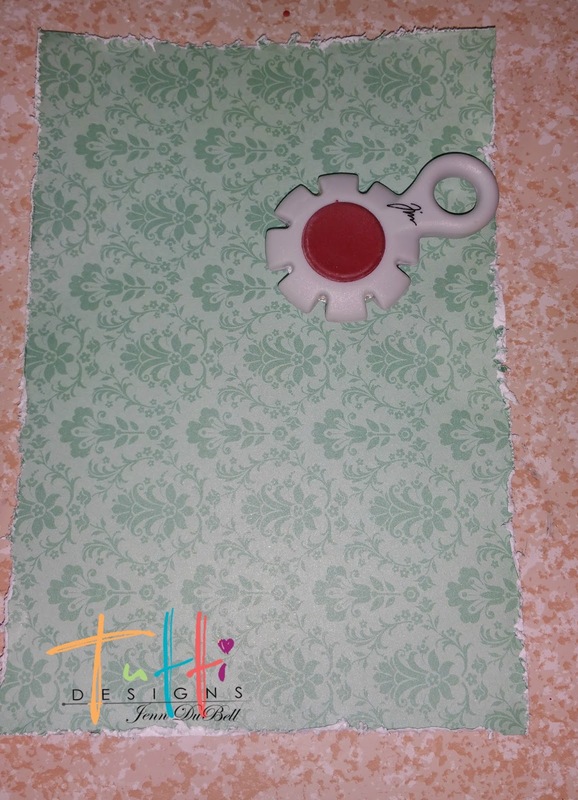 I am so excited to share with you this card I made. I wanted to create a vintage feel and these dies are perfect. They are very intricate and precise in cutting. Even the tiniest flourish cuts cleanly and comes out of the die with ease. 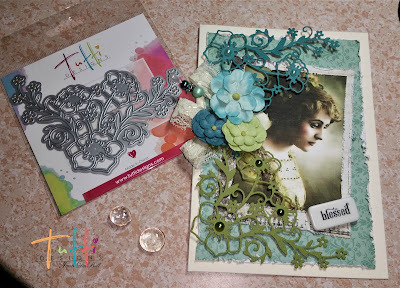 To create this card, I selected coordinating cardstock that enhanced the beautiful die pieces. 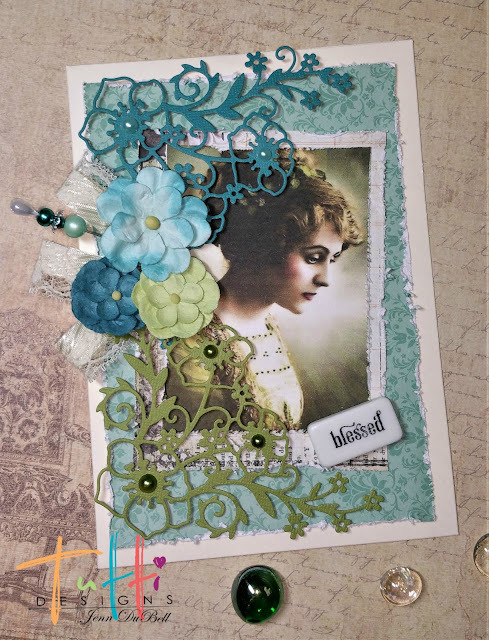 A vintage printable photo, and some scrap pieces of two different cardstocks. The photo and pieces of cardstock were distressed with a distressing tool all around the edges. don't be afraid to bend and wrinkle edges either, it only adds to the vintage appeal. 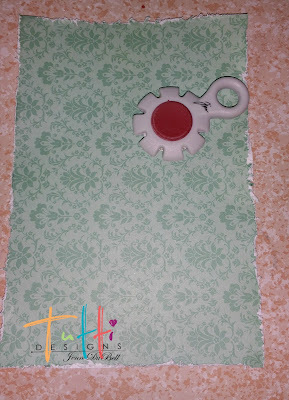 Adhere the first piece to a vanilla colored card using scortape or tape runner. The second piece was adhered at a slight angle, also with scor tape. Adhere the vintage photo at the same slight angle. Place the two cut out corners, some flowers and some lace on the side. I used foam dots for these steps for a layering effect and to really pop up the die cuts! Lastly, add a sentiment embellishment and some pearls! Thanks so much for viewing! 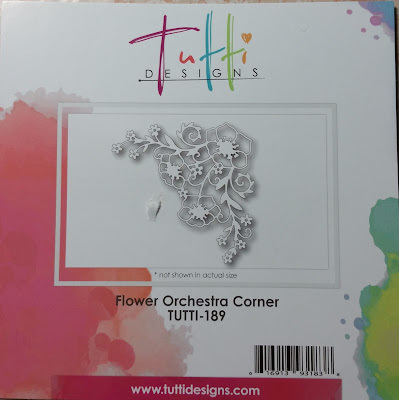 I will be back every Sunday with another creation using one of these beautiful Tutti Designs dies. Absolutely BEAUTIFUL Jenn! Love the vintage image and you've showcased it beautifully with these die cuts and flowers! What a clever idea to die cut in 2 colors to coordinate with your flower cluster! Awesome inspiration ... thanks! So gorgeous Jenn. Love the soft colours and how you have used those beautiful corners. Just simply lovely Jenn. Love the colors! So pretty! I love all the detail! Lovely vintage card, Jenn! The colors are beautiful and I love that you used the same die in two different colors.